Still not sure what to do with these posts, so here’s a bumper one that has a few weeks worth of links. Deepfakes and the New Disinformation WarThese are getting too realistic. Jennifer Buscemi: Deepfakes Are More Terrifying Than EverI mean, look at this. Uncomfortable watching. How long before people believe they are watching politicians – look how much fake news gets shared but the apologies never do. Group B – The Age of the Supercar – YouTubeProper rallying. Police stop people for covering their faces from facial recognition camera then fine man £90 after he protested | The IndependentWTF?!? Going too far. Why CAPTCHAs have gotten so difficult – The VergeI’ve got good eyesight and struggle with them. They are putting in barriers to many people. Digital exchange loses $137 million as founder takes passwords to the grave | Ars TechnicaOuch. So glad I never got into crypto. APOLLO 11 [Official Trailer] – YouTubeThis looks amazing. No thank you, Mr. Pecker – Jeff Bezos – MediumBrave post from Bezos, love that he told his investigator to proceed with whatever budget he needed to pursue the facts in this matter. Bond villian? Death and Valor on an American Warship Doomed by its Own NavyScathing report on what went wrong with the USS Fitzgerald. Pressure grows to oust Christopher Chope after FGM law blocked | Society | The GuardianTotal abuse of position. More annoying was the token quotes from Tories saying they were disappointed…do something about it!!! It’s the Real World—With Google Maps Layered on Top – WSJLove a map story. The Friendship Files: The Great British Bake Off’s Selasi and Val – The AtlanticBest thing about GBBO isn’t the bakes but the real warmth that the contestants have. Great read. The British-Irish Dialect Quiz – The New York TimesThe quiz worked for me – how about you? This Comic About NASA’s Mars Rover Will Make You Sad, And Then Incredibly ProudA few years old but seems apt given the news that Curiosity is finally dead. It’s almost impossible to function without the big five tech giants | John Naughton | Opinion | The GuardianThey are becoming impossible to live without. Is that good for us? The Secret History of Women in Coding – The New York TimesThinking about this a lot recently – great writing explaining what went wrong. 2 weeks. That how long I lasted. Although I said I’d be retiring my weekly posts I’ve missed doing them over the last few days. So don’t call it a comeback but there will be some sort of wrap-up appearing on the site going forward. Searching – really enjoyed this. Good twists although a couple were sign posted early on. Manhunt – even though based on real life events and knowing the outcome, this was well made and acted by all. Brexit:The Uncivil War – enjoyed it but it still feels like it was too early for this. There’s always speculation around Apple and it’s unannouced products but 2019 has taken on increased importance. After the surprise downgrade in it’s sales forecast many are now wondering what’s next for Apple. While this is unheard of in Apple’s recent history the signs were there that iPhone sales had peaked. Smartphone saturation, increased costs, devices lasting ever longer and a sense that Apple devices were no longer “the best” to justify the premium. I’ve seen many posts saying Cook needs to come up with the next new category to drive Apple forward like AR glasses or a car but I disagree. Apple need to do a Microsoft. Become more open, offer more services, stop locking content to only their hardware…and look to offer better value for money or start to innovate over and above their competitors. For more on why Apple got into this position and what they can do next read either Ben Thomson or MG Siegler for great analysis on what’s next for Apple. Watching Andy Murray’s press conference from the Australian Open was pretty hard. This is Scotlands greatest sportsman having to give up what he loves as his body has let him down. I really liked this post on his career from The Independent but that was trumped today by The National’s Open Love Letter. Murray has provided so many great sporting moments and had a wonderful career but worth also remembering his support for women throughout his career. Still love the “male player” and withering “mmmmmmmm” when talking to this American journalist. 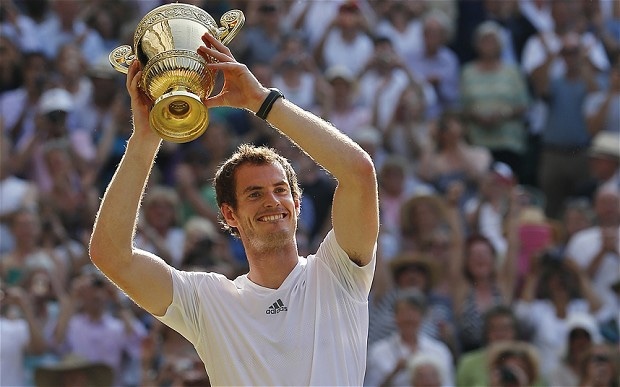 He’ll be sorely missed in British sport and I hope he can finish at this years Wimbledon. Politics in both Britain and America are in such a mess. One breath of fresh air is Alexandria Ocasio-Cortez. She is fire and I love that she makes mistakes but admits them. She also uses social media better than most. One to watch. And one we can’t stop watching is brexist. This topic has dominated UK politics for too long and it’s still clear the country is split. The mood is perfectly captured by Marina Hyde. I only hope the vote on Tuesday will move things on, and hopefully for the better. Brexit is such a car crash. RSS has been one of the open web’s success stories. So I was pretty pissed when I read about it’s demise on Motherboard. While Google Reader was abandoned many years ago I still get most of my news via RSS and the services that replaced Google Reader offer many more features than Google ever did. RSS is also at the heart of the podcast industry and means podcasts can be heard anywhere in any client on any platform although some companies are trying to change that. What surprised me recently is that the BBC have moved one of their podcasts, Fortunately, to be only available via the BBC Sounds app. Really disappointed in the BBC and hopefully they will reconsider this over time. It really is Christmas Eve and this is the last update for the year. Hopefully this post finds you well and I wish you all the best for the rest of the holidays and into 2019. This is a bumper update too…and may be the last for a while so enjoy. Red Dead Redemption 2 – Single player completed. Chris described it as a Tour de Force and I can’t disagree. A truly believable world that is so rich both graphically and due to the characters and their stories. The game isn’t without it’s issues including some predictable missions and also some repeating gameplay elements…and some not very intelligent enemies in some missions but these are minor niggles. This is the first single player game I’ve completed in years and I thoroughly enjoyed it. The Predator – not the best, just watch the original instead. Nothing wrong with sprouts – leave them alone. Drive past this daily and it still looks magnificent. So much has changed but so much still familiar. The M8 really did rip the heart out of Glasgow. 2018 has been quite the year for the big internet companies. Doubt I could do this for all of them although thinking of quitting Instagram despite the photo account going well. Grim…but what do we really know about the products we buy and how they are made? Great visuals on the emergence of China over the last few decades. Even the yanks are taking the piss now. It has been a busy year for “the man who made radio viral”. And as the Brexit debate intensifies, here are James O’Brien’s best bits. Depressing really. Brexit has brought out the racists and idiots. John Barnes is so good in this short interview. Racism seems to be back in British football – was it ever really away? Just look at the nonsense with the Glasgow teams. Loved this – forget the idiot presenter and the twerk comment. Great alternative to Lightroom on the iPad. A must read list of the best current iOS apps. And here’s the Mac equivalent – both have some good recomendations. Does it include sausagemeat and pastry? So well done – how many have you seen? I had an Airfix model of the Shuttle and it’s Carrier when I was young. So pleased to see the Shuttle in the flesh four years ago in Washington. Speaking of NASA, how awesome is this. How fecking brazen are the thiefs? Too good to be true – well done Internet. Tree’s up – Christmas is here. Almost. Is it only me thats looking forward to a crazy week in politics? Venom – Load of shite. What a waste of a great cast. Better off just being an animated movie. Red Dead 2 – 68% through story mode…closing in on the finish and still loving it. Samsung used my DSLR photo to fake their phone’s “portrait mode” – DIY PhotographyShady. What I don’t get…does anyone at these companies think they will get away with this nowadays? Facebook Well Aware That Tracking Contacts Is Creepy: EmailsSpeaking of shady Facebook takes some stopping at the moment. Pure filth…plotting my move of their platform. The Friendship That Made Google HugeEnjoyed this, felt a total contrast to Facebook. Microsoft Putting Edge on Chromium Will Fundamentally Change the Web – MotherboardSeems a simple change but this is an amazing strategic move by Microsoft. Impressive. 52 things I learned in 2018 – Fluxx Studio Notes – MediumWhat a great read. Found out quite a bit I hadn’t learned…until now. The 2018 kottke.org Holiday Gift GuideIf you are struggling to find a gift this isn’t a bad place to start. Images of 2018: AP photographers capture a world in motionStunners. David Ehrlich’s 25 Best Movies of 2018 Video Countdown | IndieWireSome great films in this list. The Best Movies of 2018 – The RingerSome more – quite a few I haven’t watched yet. The 30 Best Superhero Movies 2018The best superhero movies since Blade. Strong list. Marvel Studios’ Avengers – Official Trailer – YouTubeCan’t wait to see this…just over 4 months. Tempted to rewatch a Marvel movie a week next year – should be just about ready for Endgame. BRIGHTBURN – Official Trailer (HD) – YouTubeLike the concept of this…what if Superman came to earth and was evil. Isle of Dogs – Sushi Making Scene Timelapse on VimeoShared the stunt breakdown from Atomic Blonde last week but this top trumps it. It was a great scene but I had no idea it took so long to shoot. It’s December. Christmas is coming…can finally have a mince pie. If only this Brexit nonsense wasn’t still an issue. Rewatched Dunkirk in 4k. Stunning. Visuals are strong but it’s the audio – so impacting. Red Dead Online – mmm. Not convinced by this so far. Feels a bit sluggish to play. Still ploughing through single player and loving it. Really enjoyed this from Campbell. He’s a polarising figure but I’ve got a lot of time for what he says. Champs-Élysées Apple Store designed Foster + Partners opens in an apartment in Paris with a kaleidoscope solar roof topping a central courtyard. This is a gallery, not a store. Apple going a step to far with this now. The fact this idiot makes so much money from this…surely it’s something the tech companies can address? The Dreamcast deserved so much better than it got. Wonderful console that showed what future gen consoles would become. Two bitter tech rivals get along for a change, making your streaming life a lot less complicated. Great post and something we should all remember. Seeing the first pictures was amazing. Lot of truth in this for me and something I need to think more about going forward. Great breakdown of this scene. How many days shooting for a minute of screen time?